Save Our Chetco River: Good news for the Chetco! Good news for the Chetco! 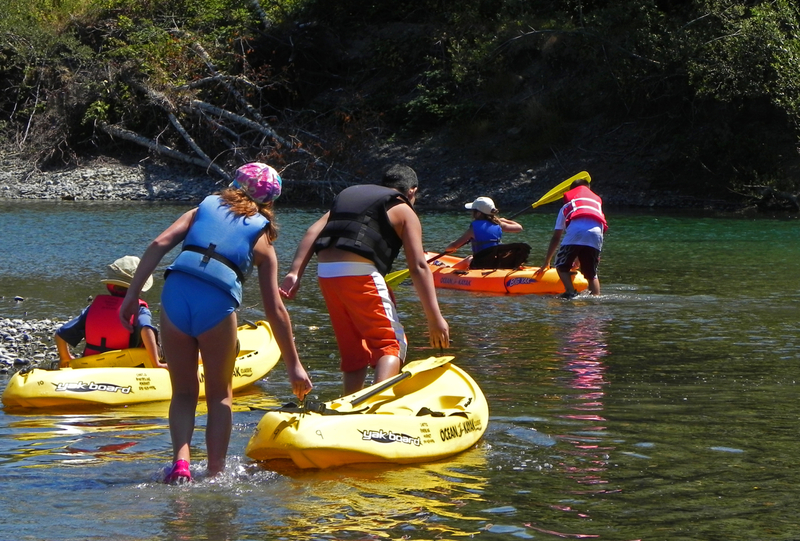 There’s good news for the Wild and Scenic Chetco! There are now three bills in Congress that may provide a chance to make permanent the temporary ban on new mining claims that now protects the river. The Southwest Oregon Watershed and Salmon Protection Act was recently introduced by Representatives Peter DeFazio and Jared Huffman (who represents Del Norte in CA) and Senators Ron Wyden and Jeff Merkley. The centerpiece of the bills (H.R. 682 and S. 346) is a withdrawal of about 100,000 acres of sensitive lands threatened by nickel strip mining at the headwaters of the Illinois (Rough and Ready Creek) and of the Smith (Baldface Creek) and also of Hunter Creek and Pistol River from new mining activities. The bill would also permanently withdraw the portion of the Chetco’s Wild and Scenic river corridor that flows through National Forest lands from new mining claims. The Oregon Wildlands Act was also recently introduced by Senators Wyden and Merkley and includes a number of high priority conservation initiatives that enjoy broad support but that have not advanced through Congress. It includes additions to the Wild Rogue Wilderness plus a Devil's Staircase Wilderness, wild and scenic river designations for Elk tributaries and for Wassen Creek, and a National Recreation Area for the Rogue canyon that would provide additional protections. The bill would also permanently withdraw the portion of the Chetco’s Wild and Scenic river corridor that flows through National Forest lands from new mining claims. Finally, the O&C Lands Act of 2015 (S.132) was re-introduced by Senators Wyden and Merkley back in January and includes measures that would both significantly increase protections for Oregon's most treasured places --including the Wild and Scenic Chetco--and also increase timber harvests with the intent of providing increased revenues for Oregon's rural O&C counties. So at this point, we have three horses in the race for the Chetco!!! Let's hope that one of these bills is able to gain traction and advance. The temporary withdrawal on the Chetco must be made permanent before it lapses. Unfortunately, prospects in this Congress are not particularly promising given the anti-conservation tenor of the majority, but that doesn’t mean that our elected officials can stop pushing. We need to thank them for their persistent efforts to protect the Chetco and keep them inspired to keep working to protect all the extraordinary rivers of our Wild Rivers Coast. Please help by sending THANK YOU note so they know that people care about and appreciate their efforts for the Chetco. Go to the How to Help page for contact links and a sample note you can cut and paste.